Tech N9ne is just days away from making history as his record-breaking “Hostile Takeover 2012” Tour prepares to sweep across the country. I’ve always said ‘if you want to be the president of Hip Hop you have to get out there and politic.’ You have to grind and show people you are real, genuine. You can’t be distraught if only 7 people show up at your show, you have to keep at it and keep coming back, building your fan base. We all knew Obama was not gonna be able to sit around and win, he had to get out there and touch the people. 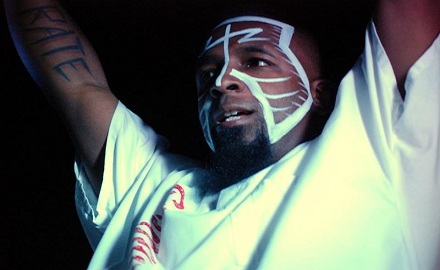 Dominating the indie charts with his latest KLUSTERFUK EP, Tech N9ne now aims for the longest tour in rap history along with Machine Gun Kelly and his Strange Music roster. There’s only one road to the hip hop presidency, and it begins with the “Hostile Takeover 2012” Tour. Will you be headed to the upcoming tour?